Finally, a machine designed to cut one of the worst parts of laundry out of your routine. FoldiMate, is a three-foot high robot that will turn your crumpled shirts and pants into neatly folded garments in less than a minute. FoldiMate will sense the size, fabric thickness and whether it is long-sleeve or short-sleeve and adjust to fit those characteristics. However, you will still need to fold your own towels, undergarments and socks. The company released a video on YouTube showing FoldiMate at work. 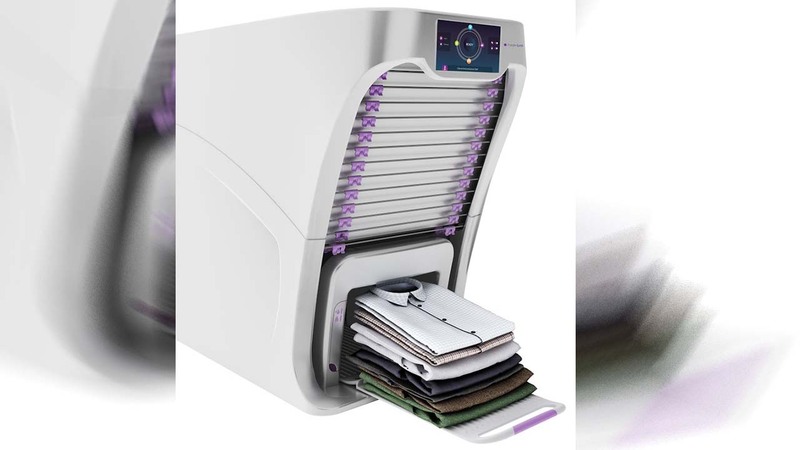 In addition to folding duties, FoldiMate also reduces wrinkles with a built-in steamer. The machine can fit in most laundry rooms and was designed to sit on top of washers, dryers or a sturdy table. FoldiMate is also available with wheels so it can be moved to where you normally fold.